The GST Council on Monday raised the compensation cess rates on cigarettes in view of the reduction in tax on the demerit good under the new indirect tax regime. This will rake in an additional revenue of Rs 5,000 crore for the exchequer. "In the first 15 days of GST implementation, it was noted that 28 per cent tax plus compensation cess on cigarettes, when translated, had not factored in the impact of cascading effect, resulting in windfall gains for cigarette companies," Finance Minister Arun Jaitley said here. He was speaking after the urgently called 19th Council meet which took place through videoconferencing here as state Finance Ministers were not present in the national capital. "The total tax incidence on cigarettes in the GST regime has come down, compared with total tax in pre-GST regime. While any reduction in tax incidence on items of mass consumption would be welcome, the same would be unacceptable in case of demerit goods like cigarettes," the Finance Ministry said. Cigarettes have been kept in the highest GST slab of 28 per cent in line with the weighted average VAT rate of 28.7 per cent in the earlier regime. The compensation cess on cigarettes consists of two components -- an ad valorem tax of 5 per cent and a numerical amount on each category of filter and non-filter varieties. While the ad valorem remains the same, the numerical amount depending on the length of cigarettes was increased here on Monday by the Council. For non-filter 65 mm cigarettes, the numerical cess has been raised to Rs 2,076 per 1,000 units; for non-filter 65-70 mm cigarettes it is Rs 3,668 per 1,000 units. For filter category, 65 mm cigarettes will be charged Rs 2,076 per 1,000 units, 65-70 mm will be charged Rs 2,747 per 1,000 units and 70-75 mm will be charged Rs 3,668 per 1,000 units. For other filter cigarettes the ad valorem has been increased to 36 per cent plus Rs 4,170 per 1,000 units. The new tax rates will come into effect from Monday midnight, Jaitley said. "The anomaly was noticed within 15 days of GST implementation. The lower incidence would have reflected either in companies reducing the prices of cigarettes, which is not advisable, or transfer of the profit to their balance sheets," he said adding that the matter thus needed urgent attention of the states. The Minister said the decision to increase cess was taken unanimously by all states. Jaitley said the total taxpayer base under the GST will easily exceed 80 lakh, the number originally registered under the previous indirect tax regime, which also had duplication because of registrations under Value Added Tax and excise. So far, 75 lakh new and old registrations have been made under the GST, he said. "This figure will comfortably exceed the original number of taxpayers. 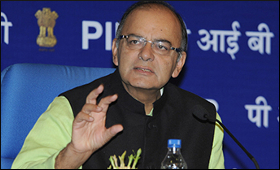 It is evident that there has been an increase in the taxpayer base," Jaitley said.